Mix the chicken fillets and onion with the oil and cook on a pre-heated char-grill and grill until cooked, remove and allow to cool. 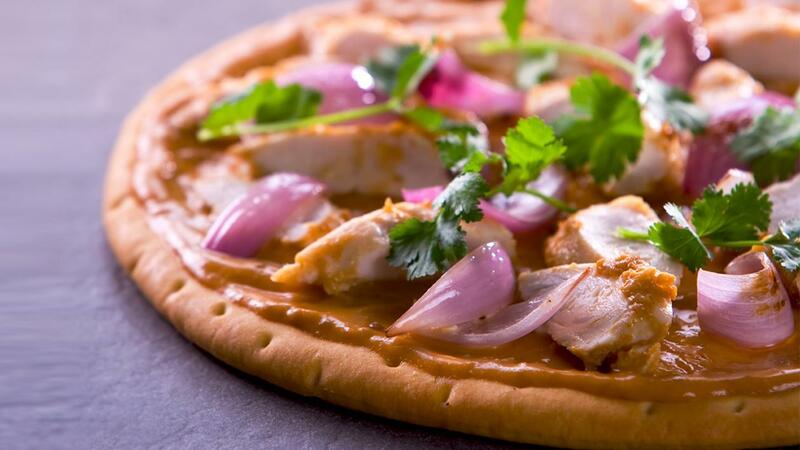 Pour theKNORR Malaysian Satay Sauce GF onto the individual pizza base, add the grilled chicken and onion. Bake in a preheated oven (180 degree Celsius) until cooked. Remove from the oven and then add coriander.